All weddings are beautiful, but some of the most beautiful weddings are destination weddings that happen at some of the most exotic places in the world. 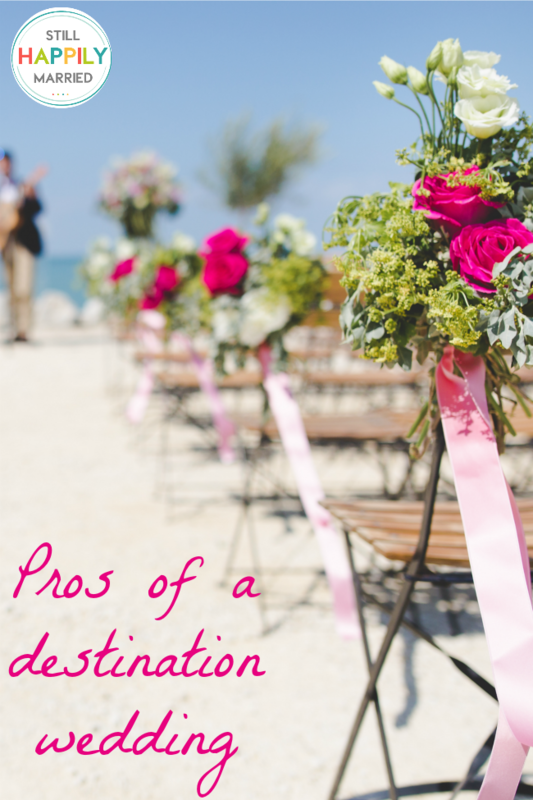 So what are the benefits of having a destination wedding? A destination wedding isn’t for everyone. It takes a lot of discussion between you and your partner. Most of the time family cannot make it because of expenses and that could be a deal breaker for your spouse. When a destination wedding is mutually agreed upon, there are many benefits of having one. Probably the number one reason why a destination wedding is beneficial is the amount of money you will save on the wedding as a whole. Most of the time, if you book your wedding with a resort of some kind they have packages for destination weddings and everything from your cake to your flowers will be included in the package. The costs is typically significantly lower than a local wedding and if you add in the honeymoon cost it is astronomically cheaper. It is important to remember that a destination wedding is not the same as eloping. Your family and friends know about it and even a few of them may be invited. Whether your destination wedding is just you and your spouse or you have a few close family members and friends attend too, the wedding will be much more intimate than most weddings at home. You won’t be worried about how your guests are or whether or not you got to talk to everyone in the few hours of the reception. You won’t be worried about the caterers or whether or not the groomsman all remembered their tuxes. You will actually get to relax and enjoy the ceremony with your spouse and not worry about everyone else except for you two. A destination wedding gives you more time to enjoy your wedding. There is so much rushing around that happens with a traditional wedding. Most brides will say that it flew by so fast that they couldn’t even take a minute to soak it in. A destination wedding is short, small, and simple. Which lets you soak in the time that really matters with your new husband.